HONG KONG, May 13, 2015 Recently, there have been reports about individuals with autism being misunderstood or wrongly perceived by the society. As a result, those individuals with autism were treated unfairly, which has caused some concerns from a human rights and discrimination perspective. For example, extensive coverage was reported in the news last week about a teenage girl with autism being ordered to get off the plane by the pilot after throwing a tantrum and a man with autism was wrongly charged for murder after an interrogation by the police without a witness. In view of the low awareness and knowledge about Autism Spectrum Disorders (ASD) among the general public, Autism Partnership takes this opportunity to provide more information about ASD and some recommendations to help people particularly those working in the frontline to increase their knowledge to handle individuals with ASD. Due to these symptoms people with autism may lack the awareness and knowledge of government, social and societal rules. As people with autism look no different they can often be assumed to have the same level of understanding as other members of the society. If you see a person having a tantrum in a public place, it can be a very difficult situation for the parent or caretaker. To offer your support, the best thing to do is to walk away. Standing around and watching puts great pressure on the parent/caregivers and is not helpful. Not all people with autism display the same symptoms, thus, we need to handle them case by case. Suitable training should be provided to those people who might have chance to associate with individuals with autism and learn the scientific proven techniques such as Applied Behavior Analysis (ABA). 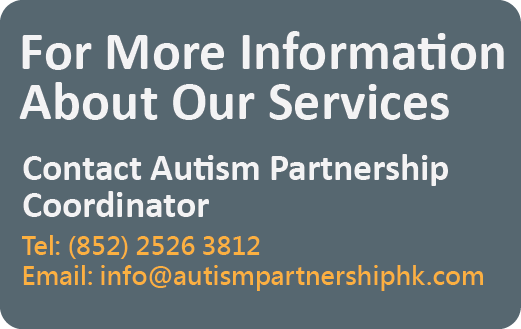 About Autism Partnership Autism Partnership (AP) is a worldwide authority and one of the largest and most established Applied Behavior Analysis (ABA) service providers for the autism. Established since 1994 in the United States, AP is run by professional clinicians and specializes in providing one-on-one therapy, group intervention and overseas consultation for children with Autism Spectrum Disorders (ASD) and their families. 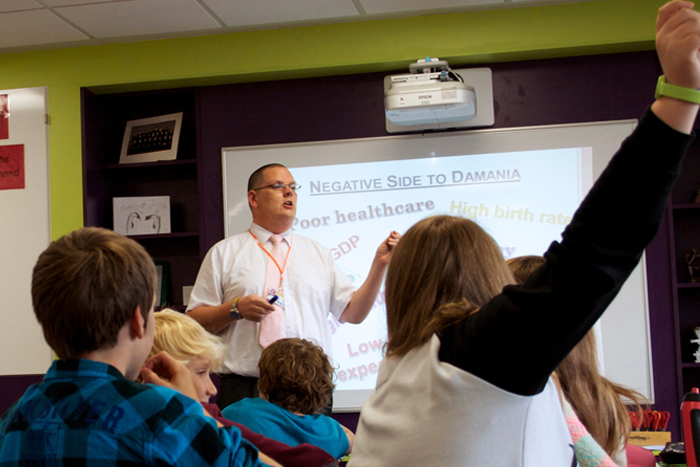 We also provide customized school-based training and social group to meet different needs of schools in the region. 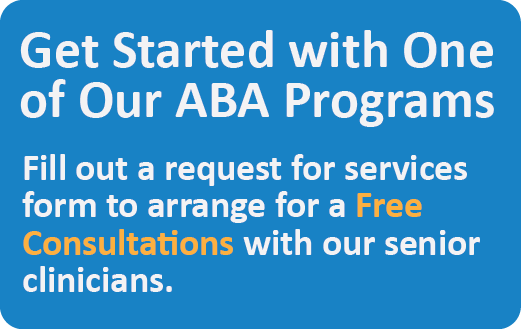 Drawing on over 40 years of experience in ABA and treatment of ASD, our premium service is highly recognized by local and international service agencies and government bodies. Dedicated to research and scientific studies, AP has been involved in all aspects of seminal projects including development of curriculum and behavioral intervention strategies, implementing and supervising treatment, training therapists, teachers, parents and helping professionals. AP has over 250 top-notch staff working throughout our international offices in USA,Australia, Canada, Hong Kong, Korea, Philippines, Singapore and United Kingdom.